Studies in twin pairs suggest that 40% of the risk for panic disorder is heritable, yet the manner in which genes contribute to the risk for panic disorder is far from clear. To date, variations in a growing number of genes have been implicated in the risk for panic disorder, but the magnitude of the impact of each individual gene is relatively small. The pattern of these implicated genes raises the question of whether there might be molecular "switches" that control the function of groups of genes in a coordinated fashion, which would help to explain the observed findings related to the genetics of panic disorder. A new study published in the March 15, 2011 issue of Biological Psychiatry now implicates one type of molecular switch, microRNAs (miRNAs), in panic disorder. miRNAs are small bits of RNA that bind to DNA and control the expression of various genes. There are a large number of miRNAs that have diverse effects on gene expression. Through case-control studies in three different populations, from Spain, Finland, and Estonia, Dr. Margarita Muiños-Gimeno, Dr. Yolanda Espinosa-Parrilla, and colleagues found that at least four miRNAs (miR-22, miR-138-2, miR-148a, and miR-488) may be involved in the pathophysiology of panic disorder. Their subsequent functional studies revealed that miR-138-2, miR-148a and miR-488 repress several candidate genes for panic disorder including GABRA6, CCKBR and POMC, respectively, and that miR-22 regulates four other candidate genes: BDNF, HTR2C, MAOA, and RGS2. Their analysis also implicated miR-22 and miR-488 in the regulation of anxiety-related pathways in the brain. "These data provide important new evidence that variation in genes coding for miRNAs may coordinate the involvement of a number of risk genes and thereby contribute to the development of panic disorder," commented Dr. Researchers exploring human metabolism at the University of California, San Francisco (UCSF) have identified a handful of chemical compounds that regulate fat storage in worms, offering a new tool for understanding obesity and finding future treatments for diseases associated with obesity. As described in a paper published March 13, 2011, in the journal Nature Chemical Biology, the UCSF team took armies of microscopic worms called C.elegans and exposed them to thousands of different chemical compounds. Giving these compounds to the worms, they discovered, basically made them skinnier or fatter without affecting how they ate, grew, or reproduced. The discovery gives scientists new ways to investigate metabolism and could eventually lead to the development of new drugs to regulate excessive fat accumulation and address the metabolic issues that underlie a number of major human health problems, including, obesity, diabetes and some forms of cancer. 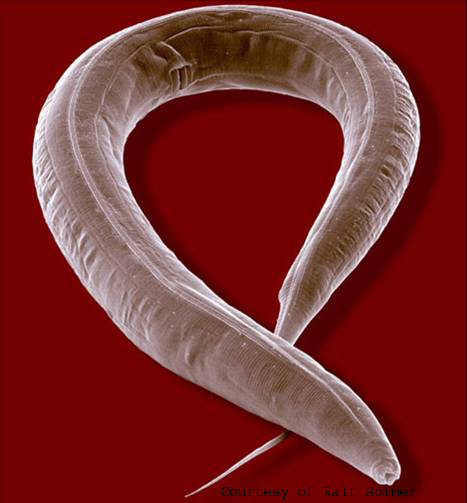 The work also demonstrates the value of "worm screening" as a way of finding new targets for human diseases, according to the UCSF scientists, whose work was spearheaded by postdoctoral fellow Dr. George Lemieux, in the laboratory of Professor Zena Werb, vice chair of the Department of Anatomy at UCSF. The work was a collaboration also involving Dr. Kaveh Ashrafi, an associate professor in the UCSF Department of Physiology, and Dr. Roland Bainton, an associate professor in residence in the UCSF Department of Anesthesia & Perioperative Care. The UCSF team's interest in how worms deal with fat began with a more fundamental interest in human metabolism. Worms make molecules of fat for the same reasons humans do – they are useful for storing energy and are a basic building block for body tissues. The notion of transplanting adult stem cells to treat or even cure age-related macular degeneration (AMD) has taken a significant step toward becoming a reality. In a study published March 24, 2011, in Stem Cells, Georgetown University Medical Center (GUMC) researchers have demonstrated, for the first time, the ability to create retinal cells derived from human-induced pluripotent stem cells that mimic the eye cells that die and cause loss of sight. AMD is a leading cause of visual impairment and blindness in older Americans and worldwide. AMD gradually destroys sharp, central vision needed for seeing objects clearly and for common daily tasks such as reading and driving. AMD progresses with death of retinal pigment epithelium (RPE), a dark color layer of cells which nourishes the visual cells in the retina. While some treatments can help slow its progression, there is no cure. The discovery of human induced pluripotent stem (hiPS) cells has opened a new avenue for the treatment of degenerative diseases, like AMD, by using a patient's own stem cells to generate tissues and cells for transplantation. For transplantation to be viable in AMD, researchers have to first determine how to program the naïve hiPS cells to function and possess the characteristics of the native RPE, the cells that die off and lead to AMD. The research conducted by the Georgetown scientists shows that this critical step in regenerative medicine for AMD has greatly progressed. "This is the first time that hiPS-RPE cells have been produced with the characteristics and functioning of the RPE cells in the eye. That makes these cells promising candidates for retinal regeneration therapies in age-related macular degeneration," says the study's lead author Dr. Nady Golestaneh, assistant professor in GUMC's Department of Biochemistry and Molecular & Cellular Biology.